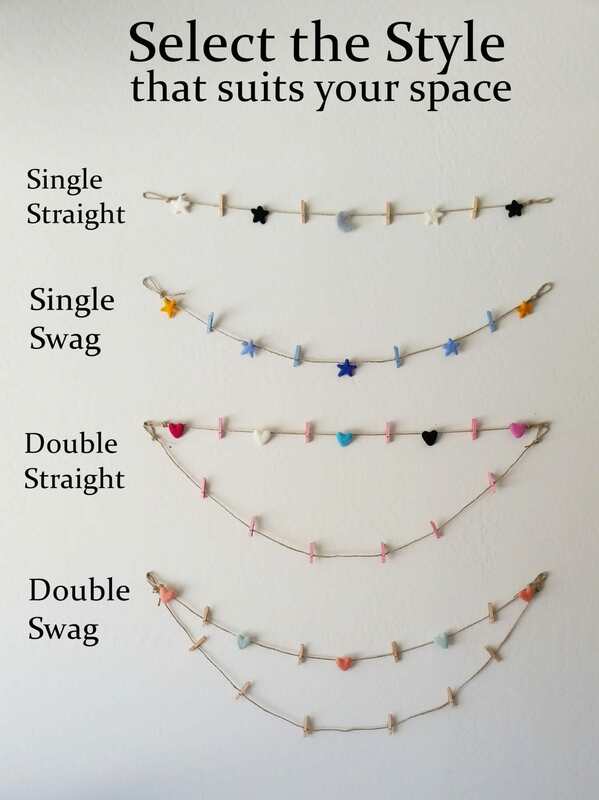 This listing is for a SWAG DOUBLE DISPLAY GARLAND with hand-felted items and decorative clothespins. 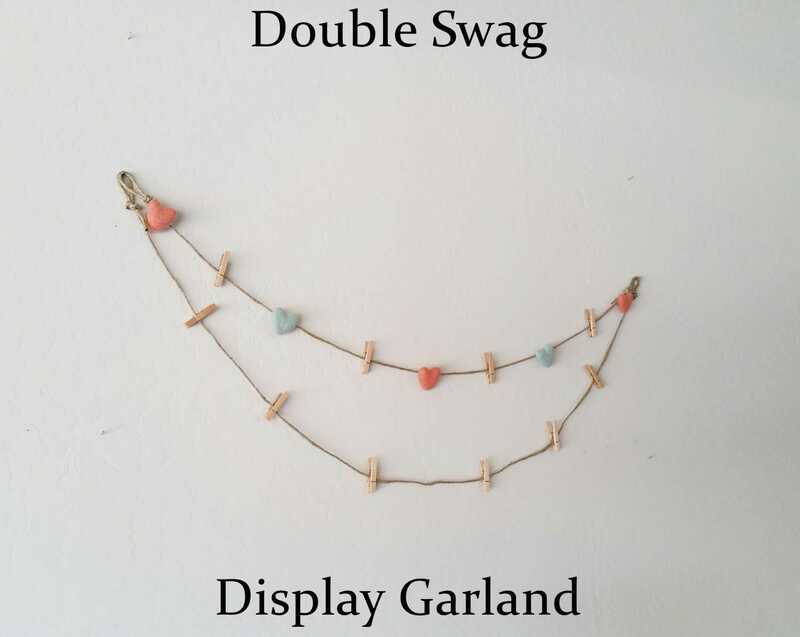 This Display Garland is ideal for maximizing smaller spaces by adding more items. It is perfect for hanging photos or greeting cards. QUALITY is extremely important for us. We use high quality felted items for all of our products. 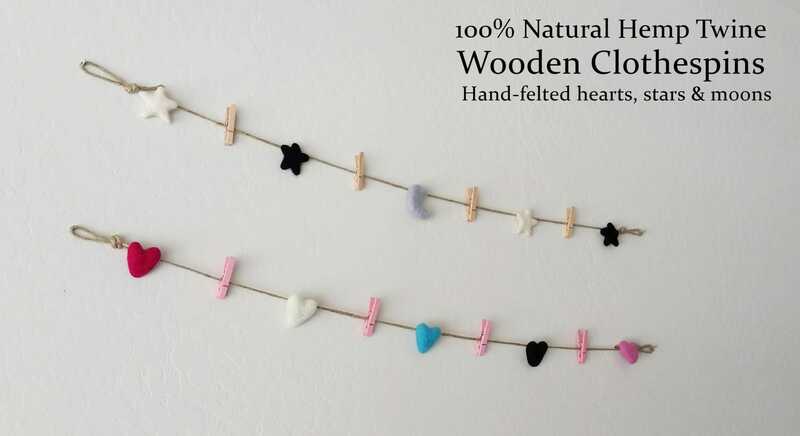 The felted items (hearts, stars, moons) are made of 100% wool and are hand-felted in Nepal by a certified fair trade company that uses a specific dye which contains no toxins. *CUSTOM- Contact me if you need a specific length; I am happy to make a custom order for you! 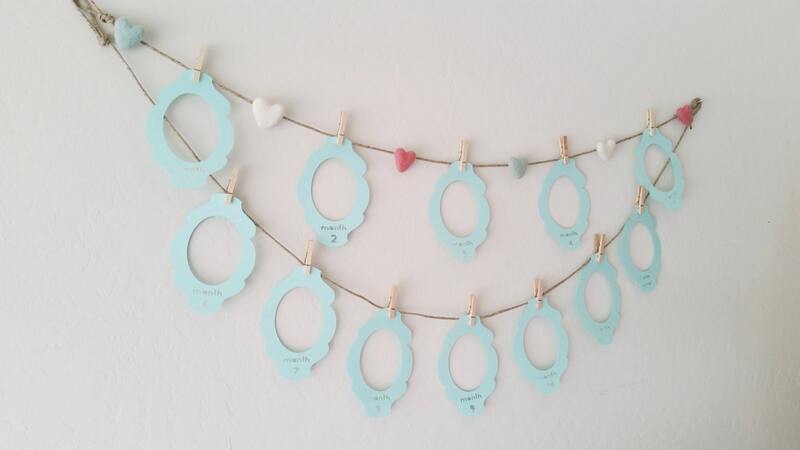 The product images show the 4 Display Garland Styles hanging on hooks that are 3 feet apart. Please make sure that it is out of reach of little hands (especially when your little one can sit up and pull up to a standing position; this can be a choking/strangulation hazard). This item is made in my smoke-free home studio and is MADE TO ORDER. 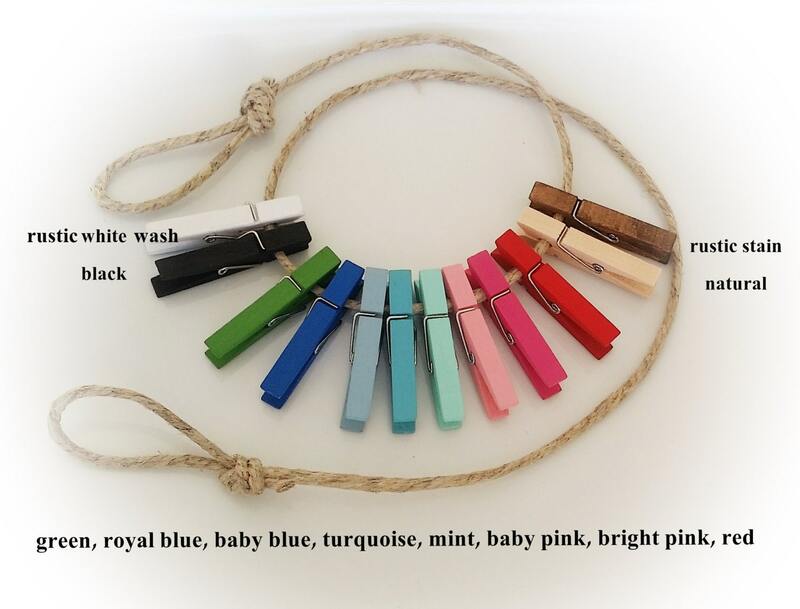 Please leave a message at checkout in the notes to seller box: color of felted items and color of clothespins. If there isn't a message, I will send you a mixture which may not necessarily match the garlands in the pictures.